Give your mom the gift of a donut bouquet or a free mimosa -- Or both! Moms — we love them, we appreciate them and we want to make them happy whenever we can, especially on Mother's Day. And even though we all think our mom is the world's greatest, it's true that no two mom's are alike. Because let's face it — some moms just aren't flowers, cards and candy kind of gals. So why not go out of the box this mother's day with giving the leading lady in your life the two things pretty much everyone loves — sugar and alcohol! For the mom who loves her dessert for breakfast, why make her settle for a bouquet of flowers when you can give her a bouquet of donuts? 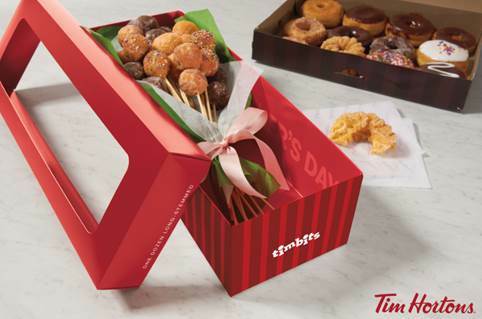 This Mother's Day, Tim Hortons is offering the sweetest bouquet we've ever seen, featuring 24 Timbits® (the company's bite-sized version of their famous donuts) ranging in a variety of flavors from Birthday Cake to Honey Dip to Apple Fritter. 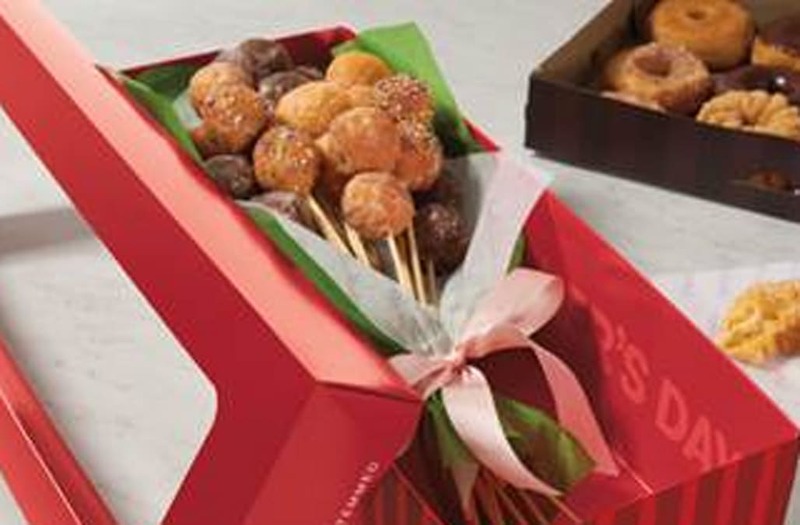 The mini sweets will be attached to long-stemmed skewers in a box meant to emulate a bouquet, all for $7.99 at participating locations on Sunday, May 14 only — perfect for you last minute slackers. But if your mom prefers a boozy brunch over a sugar-filled one, treat her to a free mimosa on May 14, thanks to smart-shopping app Ibotta and their #Mimosas4Mom initiative. Treat your mom to a mimosa anytime during the day and upload a picture of the receipt to the Ibotta app — you'll have money deposited back into your Venmo or PayPal account. Yep, that simple -- download the app and start looking for the best boozy brunch for Sunday. So whether your mama has a sweet tooth or a knack for the bubbly, Tim Hortons and Ibotta have you covered without having to break the bank. *The box includes a bottle of Porter & Plot® Rosé, Herbivore soaking salts and Pink Clay Cleansing Bar Soap and a Baxter of California White Wood candle. Activist and model Winnie Harlow is working with Me to We to help support underprivileged children around the world. Crafted by artisans in Kenya, each piece of jewelry helps bring school supplies, health care, income opportunities and more to a child or family in need. You can view more of their gorgeous designs here. The new Icon Collection at Banana Republic is filled with unisex scents and fragrances that have been integral to Banana Republic's rich history. Our favorite? 90 Pure White, a mix of lavender and jasmine, an aromatic combination your mom is sure to love.